Have asked the question of the engine builder, nothing forthcoming just yet. Would (Pauter) rod lengths in this case be considered intellectual property ? Anyway, bottom end together back together (inc Gt3 pump, steel IS gears), will share more pics once received. 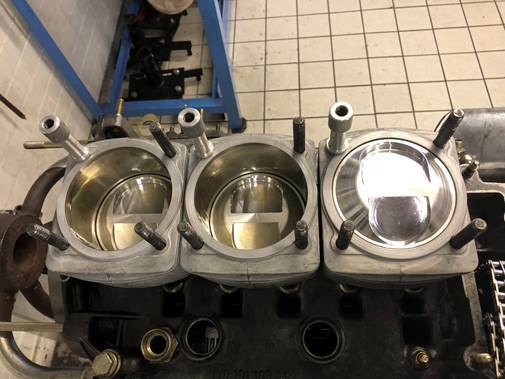 Typically Porsche rods are avialable in a center to center lenght of 5.00 or 127mm if you like. 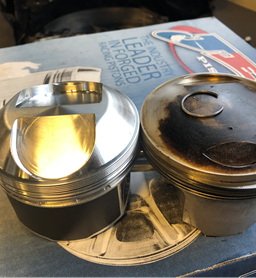 To figure this out you will need to measure from the center line of the case and add 1/2 the stroke and the rod center to center that will give you the reciprocating component to the center of the piston pin write it down. Measure the length of the barrel add it to the equation and subtract or first measurement from it that the difference minus your ascribed deck height will give you the Compression Height of the piston, figure what compression ratio you want (this is different than compression height) and call a good Piston manufacturer he will go over your figures with you and Wa La. Basically that is how it is done. Gents - i'll add more pics once the builder has sorted them onto a USB stick, however the work is largely done. Still needs a power run, hopefully in a couple of weeks. No comparative before dyno plot, as costs escalated and i cannot afford to run it on the builders engine dyno. 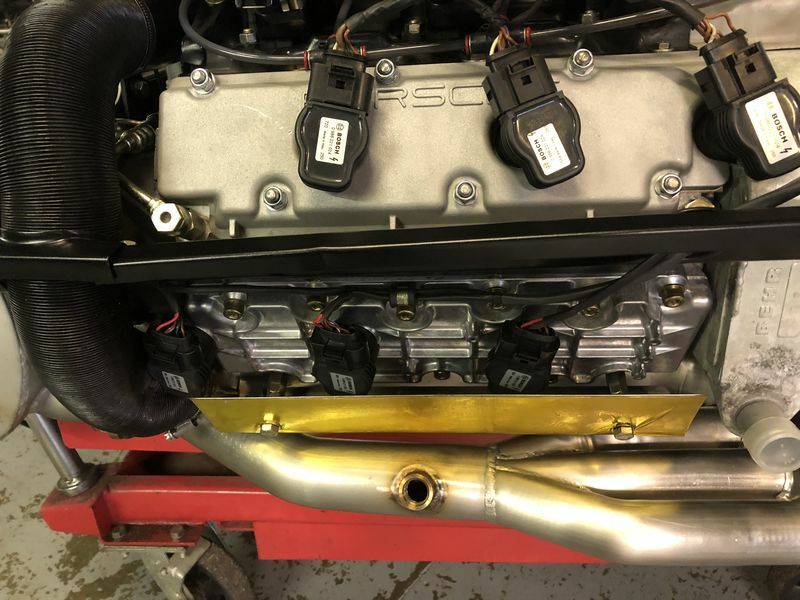 What Motec ECU are you running? Are you using Bosch 0986 221 024 CoP's? Do you know what injectors you are running and at what pressure. Love you neat manifold and ITB setup! I’m not entirely happy with the K&N filter/layout and may look to adopt a more traditional layout with a filter box in the future. Yes they're the same coils. So, i’ve recently collected the car after some rework. 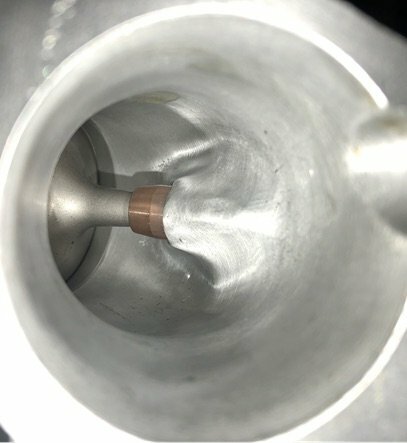 The valve stem seals were found to be problematic; it stunk of oil at idle and it was puffing smoke - all of this after a significantly expensive rebuild. Lots of oil consumption too. Sub-optimal, you’d agree. 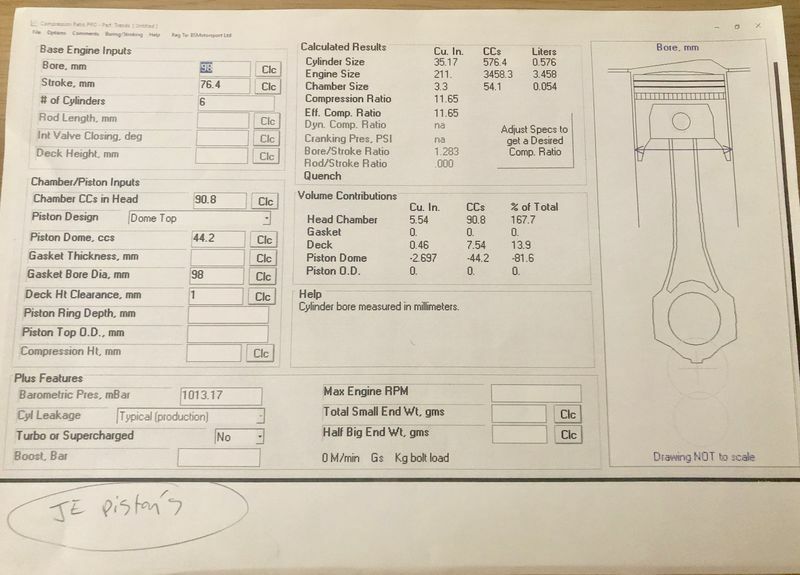 A decision was also made to go twin plug with some additional Bosch CoPs, to accommodate some 11.5:1 JE pistons, cc’d at 11.65:1, to replace the 10.2 Mahle. Guess which curves are for which setup (thin or thick lines? 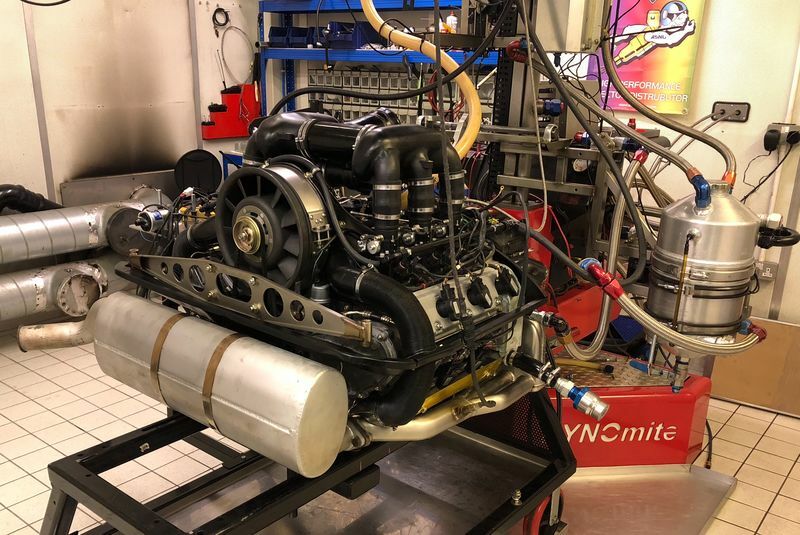 Both 993 and velocity stacks were dyno’d with the 11.65:1 pistons, twin plug and 42mm Eisenmanns. Hi Shirish, is that a TT muffler? Hello Arlo, nope, it’s a DW Technik muffler. On a previous back to back test dyno test, it delivered 6bhp more than a Dansk 2in1out. Ah yes, Dieter does amazing work! I had one of his mufflers on my 3.2. Awesome sounding too. 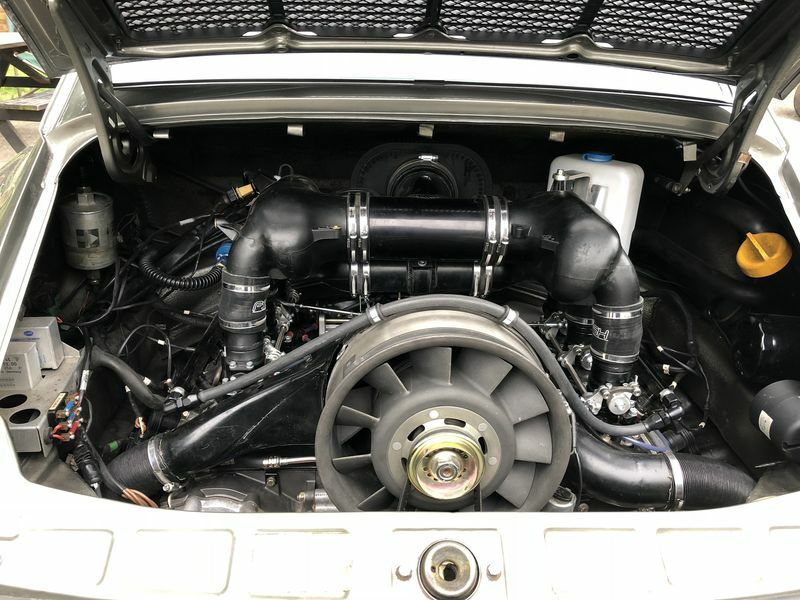 So, which intake made big lumpy power? Stacks are the “lumpy” curves. Surprised me though. 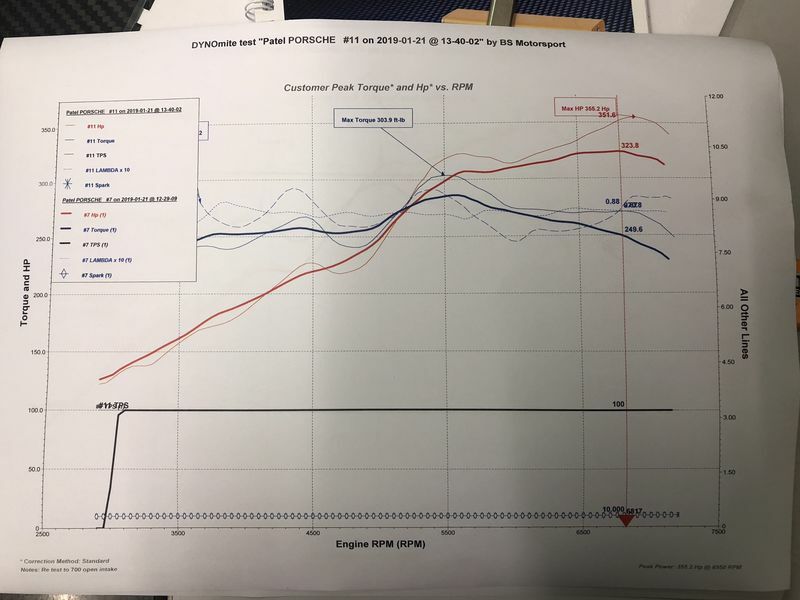 I was expecting a stronger torque curve with the plenum; it’s flatter but not much stronger. Surprises me too. I expected the stacks to be lumpier, but the plenum to give more ultimate power. 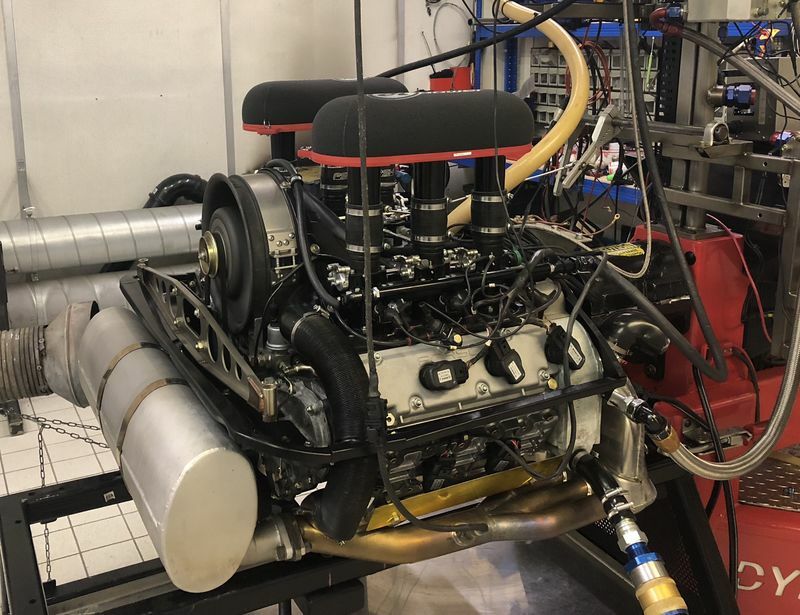 Looks like a nice build with some nice dyno numbers to show for it! I'm curious to know the cam grind if you are able to share. A few posts back you mention a grind 5mm grind similar to GE100, but I'd think a GE100 wouldn't be very friendly for anything other than all out racing. Maybe yours is something a little milder? Probably best you contact William and mention my name. Any comments/feedback/opinions on the Eisenmann HE's? They look good, the little we can see from the pics - the secondary pipes look like they might be a bigger diameter than the the SSIs? 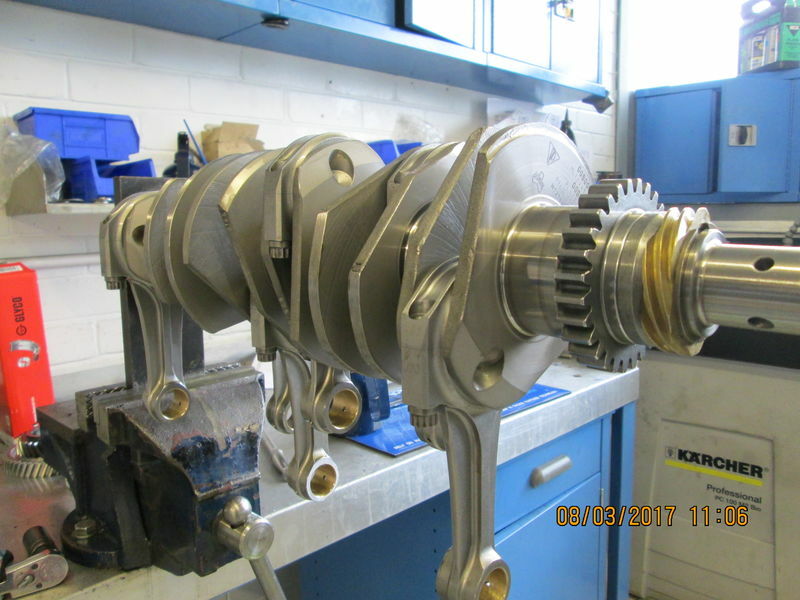 The GT3 crank is a thing of beauty to behold, and to think it is (was?) less than half the price of a new 3:2 crank. I can check the OD of the Eisenmanns this weekend. Overall quality was excellent, although there as an alignment issue with one of the outlets - an hours labour to slice and re-weld.